In the autumn of 573AD, the eight-year civil war that divides the Celtic nations in post Romano-Britain ends at the battle of Arthuret. The Celtic armies disband and the warriors return to their homes, but the losses to the combined Celtic forces are so great that the immigrants from Germania- the Angles, who settled along the North Sea coast, boldly send raiding parties into the heart of the Celtic homelands. 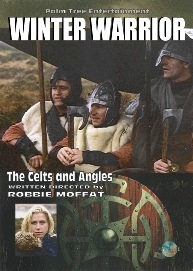 Fingal a Celtic mercenary soldier is returning home to his Roman wife, Lillian, who lives with his people of Caledon. Weighed down by his travel bags full of the treasures of war, he rescues the Jewish slave girl, Jessica from her Angle captors.